I am still trying to get back into the swing of regular life after my fabulous trip to Haven last week! Haven was just plain wonderful...or as I've heard other bloggers say...Haven was Heaven. It's true! The thing that I loved so much about this conference was that it was focused on DIY bloggers! I was thrilled to see so many of my blogging buddies that I've met before...and ecstatic about meeting so many that I have "known" online and getting to hug them and chat in person! I also had the chance to meet some amazing new bloggers who I'm sure will be making a splash in the world of DIY blogging in the future. 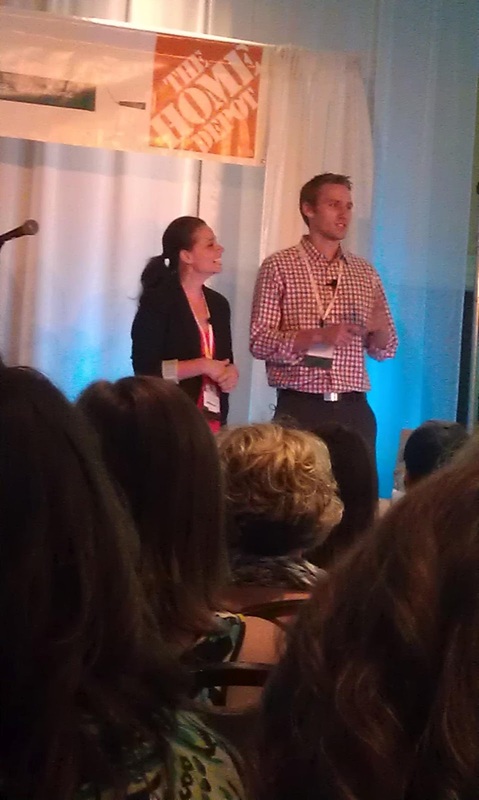 The conference started out with a bang when John and Sherry from Young House Love gave the keynote address. I loved hearing their story! So motivational!! 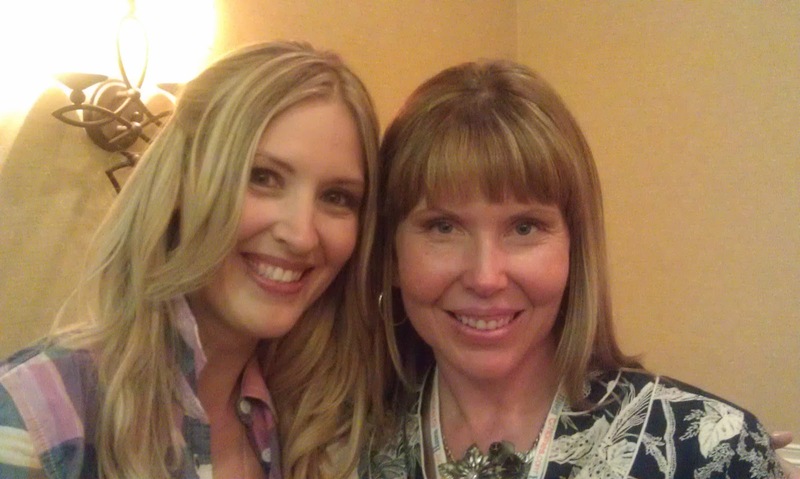 I loved finally getting to meet the lovely Layla (The Lettered Cottage) in person! 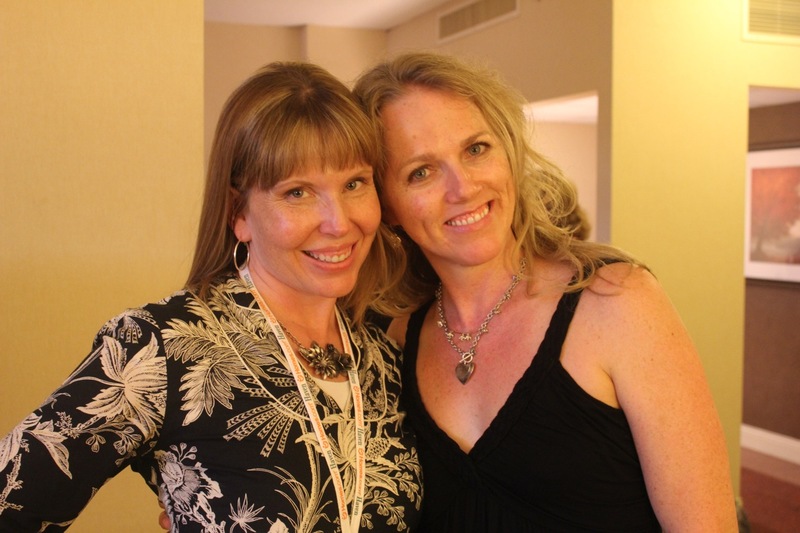 We've been online buddies almost since I first started blogging. I was honored to be sponsored at Haven by Apartment Guide. I had the great opportunity to network with other bloggers and share about ways they can partner with them on lifestyle-themed challenges and engage with them on their social media pages. I passed out cards and talked about my personal experience as an official Apartment Guide Decor Blogger. I also passed out some fun Apartment Guide swag like yoga mats! If you are a blogger who wasn't at Haven, but think you might like the chance to work with this great company, drop me an email, I'd love to pass along your info too! Which reminds me, right now Apartment Guide is holding their 2nd annual "Your Picks. Your Place" sweepstakes. You can enter for a chance to win the $10,000 grand prize or one of 8 weekly $250 grand prizes simply by voting on your favorite blogger-designed room. You can find out more about it here. At the end of the conference, my fabulous roommates and I headed to the Atlanta Airport happy and exhausted. 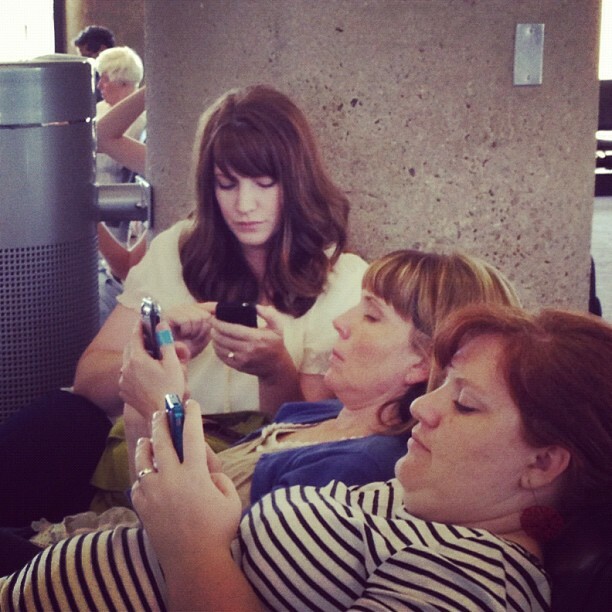 But bloggers will be bloggers, and a fellow traveller snapped this photo of us checking our email/facebook/twitter accounts during a layover in Phoenix. Makes me laugh. ﻿﻿ ﻿﻿ ﻿﻿ I just loved my time at Haven...and I can't wait to go back next year for more fun, networking and inspiration! A great recap! So much fun and it was so great to meet you! so many great photos of all you photogenic star bloggers!!! Sounds like such a blast! So unbelievably jealous! 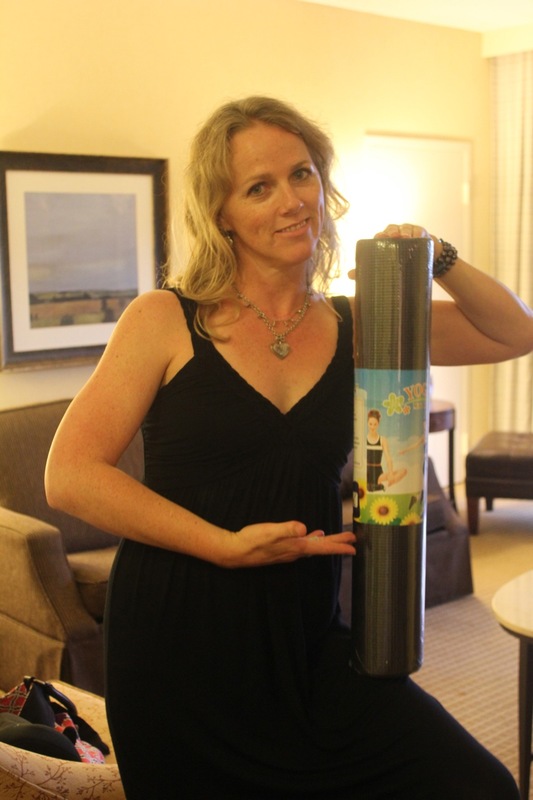 I love hearing about Haven and seeing photos of you and my other favorite bloggers. Thanks so much for sharing.